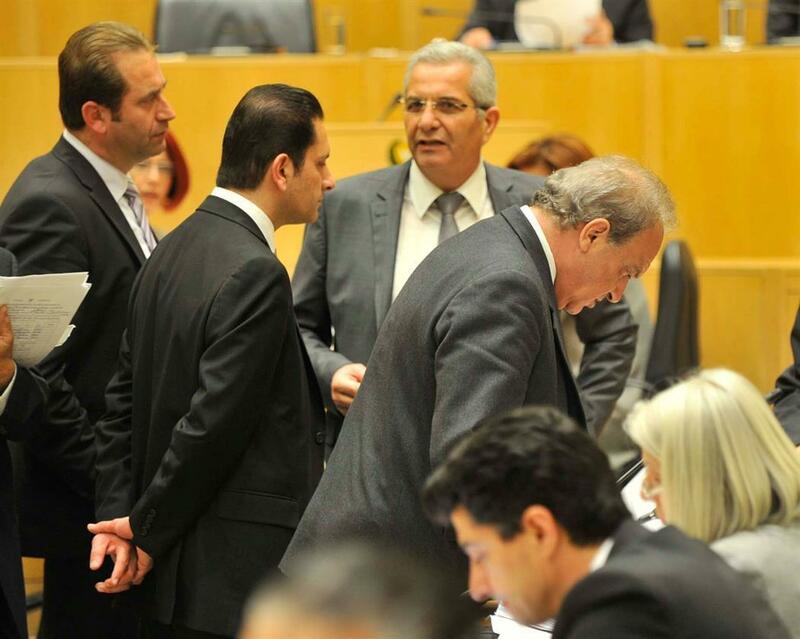 The discussion about the outcome of the collapse of the Co-op bank in the Cypriot Parliament could only be described as “colourful”. Tensions, exchange of words and personal “battles” with protagonists all parties, but mainly Andros Kyprianou on behalf of AKEL and Averoff Neophytou on behalf of DISY, who, as can be understood, moved in completely different directions. The talk was about Co-operative but also the peaks between the political leaders of the two parties about additional activities. In particular, Averof Neophytou referred to a Cooperative Credit Institution in the Famagusta Province, which he said, approached customers and opened accounts for tax havens such as the Marshall Islands, the Seychelles, Hong Kong and Belize. He also called for inquiries to make clear who was the President and the secretary of the credit institution, with the AKEL Secretary General retorting that what Mr Neophytou claimed was slander. At the center of the discussion was the Minister of Finance Harris Georgiades and his decisions regarding Co-op, with DIKO, Ecologists, ELAM and Anna Theologou as an independent MP, calling for his resignation. Marinos Sizopoulos, President of EDEK, expressed the view that political responsibilities emerged from the finding, noting that political responsibilities were not attributed but assumed, while the Solidarity party MP Michalis Giorgallas, who noted that the Minister of Finance was responsible, said that the finding should become a correction tool rather than a field of political controversy. The President of the Citizens Alliance, Giorgos Lillikas, did not call for the resignation of the Minister of Finance, but wondered what position is becoming vacant in nine months for him to occupy. It is reminded that Harris Georgiades had handed in his resignation, but it will take effect next October.